When your lease runs up and you need your copier returned to the leasing agency, we attach the return authorization letter with the shipment so the leasing agency knows your copier has been returned. Because many of these shipping agencies are very busy they require shippers like TTR to make appointments which sometimes take weeks, and can result in major fines for you. However, because of our large quantity of shipments to most leasing agencies every week, and our established relationships, we are able to avoid these lengthy appointment times! For more information call us at 1-888-333-6865 or enter the live chat feature in the bottom right-hand corner. If you need to pick up a copier and drop it at a different location anywhere in the country, we can help you do that! We help leasing agencies retrieve copiers that they otherwise wouldn’t be able to get. Need to swap out copier? We can do this for you. Did you know that a copier stores all the information from every job its ever done? This is very dangerous! 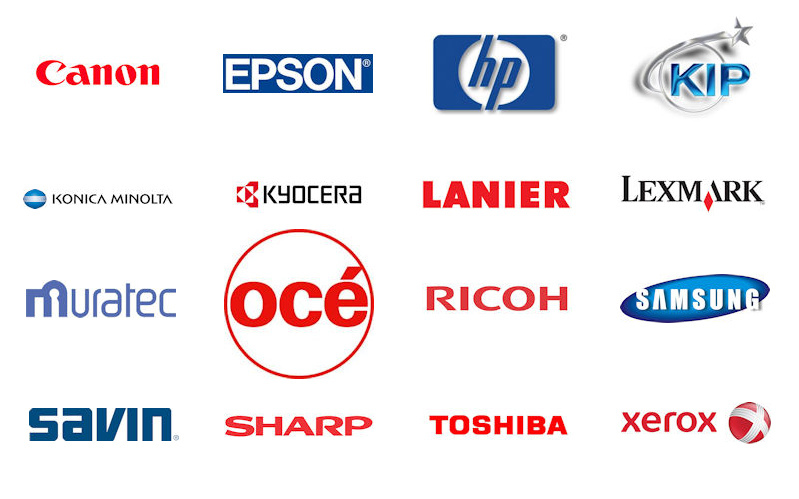 We offer a hard drive cleaning service that completely wipes all information from a copier. This eliminates the potential threats from someone stealing you or your customers’ private information. With 18 warehouses, and growing, across the country, we offer short-term or long-term storage for your assets anywhere you need it. To ensure safety of your assets, all our warehouses have a state of the art security system. Additionally, your asset will be safely locked up in a controlled climate. Sometimes you need your copier picked up and delivered on a particular day or at a specific time. We are always able to find a solution to accommodate your needs! When exporting copiers many regulations must be followed. This includes specific wood and nails, as well as various certifications, all of which we have! To ensure all assets arrive with no damages, our trained drivers shrink wrap, pad, and securely strap all machines in air-ride trucks. Additionally, we provide paperwork and documentation at every step of the way from pickup to delivery to ensure a safe service for both parties. Lastly, many companies will tell you that they can ship a copier for pennies…but be wary, copiers require extreme care and attention. Even the slightest neglect of care can result in THOUSANDS of dollars in damages for you. If any of these services interest you, our coverage is nationwide, so if this service interests you, give us a call! 1-888-333-6865, or feel free to use the live chat feature in the bottom right of your screen! I use TTR shipping for all my transport needs because I know that I can rely on them and they understand my needs. I have found them to be very organized and responsive which is critical to my business. The logistics around my transport needs can be challenging at times due to constant changes, difficult vendors, and the need for a truck yesterday. TTR not only takes care of my transport needs, they do it quickly and without complaint. They are always professional and accommodating. Logistics can be time consuming but with TTR’s reliability and help I have been able to concentrate more on growing my business. We’re a very busy dealership that averages 15 to 20 machines per month that have to get back to the various lease return depots. We can always count on TTR Shipping to get us a quick turn around from request to actually landing at the depots loading dock & no one can get it done as quick and trouble free as them! We have had zero damage in the 5 years we have been using them & we highly recommend them for a trouble free return. I appreciate that there is a shipping company that can handle our specialized needs at such a great price. I like the personalized attention that you give our company and myself. I rarely had a problem with the many shipments that I have shipped through TTR, and on few occasions where there were problems, they were rectified in a timely manner. I have recommended TTR shipping to other dealers, and continue to depend on their reliable services. I use TTR shipping for the simple reason that I get great customer service and the best rates in the market. Whenever there is a miscommunication in paper work it gets taken care of immediately. Keep up the good work. Using TTR to me is like taking aspirin, my headaches went away. The prices are what they say they will be, there’s no damaged or lost machines and they care about what they do.